Betty Sutherland ( Cox )moved to Ontario in 1946. Her Grandad started work at the waterworks in 1901, just after it was built, and the family lived in the waterworks cottages. She remembers visiting Mile Oak for every summer holiday in the late 1920’s and early 30’s and thoroughly enjoyed every moment. She also recalls Grandma serving teas in her tea garden ( ? The Paddocks) to hikers and also to soldiers who were practicing at the Rifle Range. She has memories of walking upto the Rifle Range with her Grandma and calling in at the Waterworks en-route to say hello to Grandad. They would then return in time for Grandma to serve teas in the tea garden (presumably The Paddocks). Occasionally Betty and her sister Joyce would be sent to the waterworks with Grandads tea can and sandwich for his lunch, she remembers the beautiful shining tiled floors of the pump room, the palm trees and the big arms of the pumps going up and down. 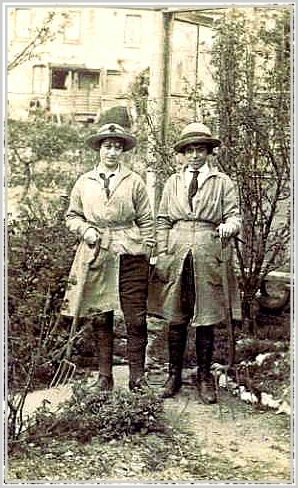 Bettys mother Nellie was in the land army in WW1 together with her mother (also Nellie) they worked in Mile Oak - the picture shows them resting on their forks. They frequently worked at the Paddocks, especially when they were having their meets (racing?) and other large gatherings. Betty also remembers the bus driver Sid Barnet and her Grandad and Grandma taking her for walks to Rats Ramble, the Devils Dyke and in the other direction to Kingston Lighthouse where they would gather shrimps and winkles. 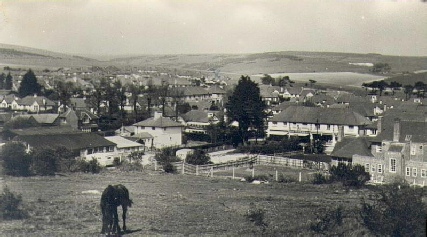 Betty’s mother joined the Q.M.A.A.C and was stationed at Shoreham Camp where she met her husband. 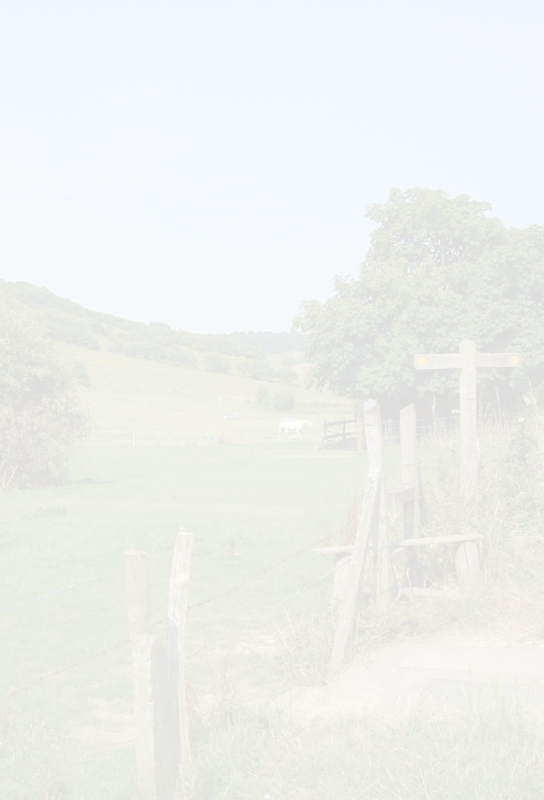 You may recall that the ‘Tin Hut’ (Church of the Good Shepherd) was originally from the Shoreham Camp where it had been two army huts that were used as a Cookhouse and Messroom.